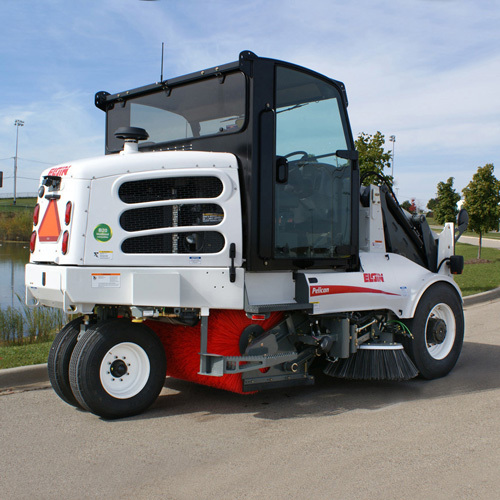 Preserve the life of your street sweeper by servicing and repairing with Joe Johnson Equipment (JJE). Our expert technicians come with over 25 years of experience. When comparing a scheduled service event to a non-scheduled service event, you can spend roughly triple the cost when lost productivity, downtime, and lower customer satisfaction is factored in. A proper preventative maintenance schedule is the single most important thing you can do to maximize your Street Sweepers uptime. JJE is committed to providing parts and service at the level our customers deserve and expect – matching the quality and dependability of the equipment lines we represent. Our service and parts staff participate in rigorous industry-leading training to learn firsthand how to better service and support the equipment JJE distributes. With a robust parts inventory across all locations, JJE has parts for all the products we represent. JJE’s service team provides coverage through our branch network, with capabilities of coming to your facility with our Mobile Road Service.